They have also announced their upcoming STARTUP INVESTORS SUMMIT 2017 in Ramada Convention Centre, Mumbai which will be having more than 100+ speakers from across the world, 500+ startup investors and more than a 1000 startups attending this two day summit. 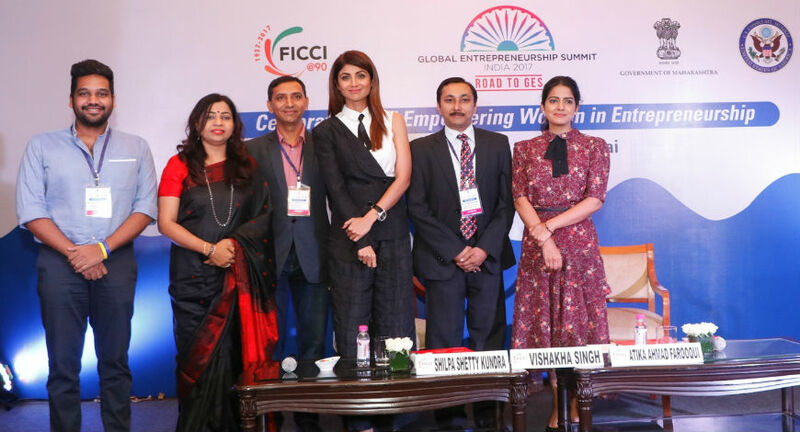 Tapaswi Group Ventures LLP has announced its launch of THE BILLENNIUM DIVAS ANGEL FUND at the ROAD TO GES spearheaded by Sow. Shweta Shalini ji and powered by NAVI MUMBAI ANGEL NETWORK. This will be the second in the country after the SAHA fund which is for the women and by the women angel syndicate, encouraging and empowering women entrepreneurs in Maharashtra to start with and India to grow more towards it. 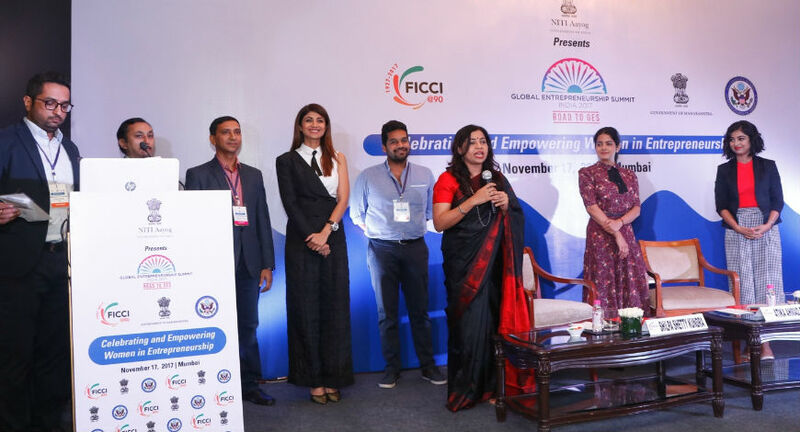 Speaking about the initiative, Shweta Shalini ji said that "according to Impact Alpha Special report, India’s 650 million women, from farmers and artisans in rural India to urban entrepreneurs and advocates, are the key to meeting all of the global goals for 2030, and especially Sustainable Development Goal №5: “Achieve gender equality and empower all women and girls.” TBD Angel Fund will contribute and strengthen this unequivocally. Out of 638,596 villages in India, 593,731 villages are inhabited. That means approximately, 68.84 % of our population still lives in the villages and rural economy improvisation is the key to our growth. A little more than 48 per cent of the Indian rural population is female, according to the Socio Economic and Caste Census 2011 (SECC). If we look at the women population in these villages and start empowering them." Two, they have also announced their upcoming STARTUP INVESTORS SUMMIT 2017 in Ramada Convention Centre, Mumbai which will be having more than 100+ speakers from across the world, 500+ startup investors and more than a 1000 startups attending this two day summit. Objective of Fund Launch - To increase the number of Angel investors in the country and encourage more and more startups to emerge into the country. Lots of them will fail but the power of support will encourage many more to be born every single day. And, that is what is going to turnaround the tables for economy and speed the engines. Speaking about the event, Tapaswi Patel said that "a staggering 100 million businesses are launched annually, according to figures from GEM Global Report [Global Entrepreneurship Monitor] - approximately 3 businesses every second or 11000 per hour. And of those "employer businesses", about 60% are bootstrapped or funded by the founder, 30% are funded by friends and family, and 10% are funded by angels. This 10 percent, if we understand , in USA alone there are more than 320,000 angels and India has just more than 3000 active angels." Talking more about the event, Vinav Bhanawat, the VP of ZoomStart India said that "over $5.19bn was raised by India’s tech startup ecosystem during the first half of 2017, according to data provided by startup intelligence firm Tracxn. While this counts as a solid fundraising H1 as compared to 2015 and 2016, over 53% of the total capital raised went to just two companies — Flipkart and Paytm, which went on to bag $1.4bn each in April and May respectively this year. This is alarming when it comes to majority of deserving startups are or may be left behind. Not all startups need money from the big funding agencies and not all startups are me-too entities." However, as per Inc42 Datalabs, the funding deals in the startups have increased by an overall average of 18% in the first three quarters of 2017 (from January to September). So far this year, Indian tech startup ecosystem was able to close more than 700 deals (until September 2017) across different segments with a record high investment of $9.4 Bn, a growth of almost 1.35X when compared to total investment in 2016 (January-December). If this is supported by increased number of angels and investors from India, the country will drive more and more startups to evolve and emerge. Bhavesh Kothari said about SIS 2017 that "with an objective of Making India, the Startup Destination Of The World and Mumbai, the Startup Destination Of India, STARTUP INVESTORS SUMMIT 2017 is being launched this December. It will be the bridge for startups, angels and many more real asset value investors to come forward and invest in the startups." The conference was attended by Shweta Shalini ji, the Maharashtra State BJP Spokesperson, Tapaswi Patel, Chairman & Managing Director, Tapaswi Group Ventures, Bhavesh Kothari, Tapaswi Group Ventures, Tanushree Sharma, Navi Mumbai Angel Network & The Billennium Divas, Miten Mehta of Spinta Global Accelerator, Raman Bala of Pro-act, Majid Khan of Business Barons, Shreekumarr Nair of Murad Mercantile and many more dignitaries. The event is supported by Tapaswi Group Ventures and Managed by Zoom Media.